Look to the stars! Our cosmic new AW13 collection re-imagines ancient constellations as twinkling brooches, earrings and statement necklaces, inspired by 1970s text books and retro visions of the future. 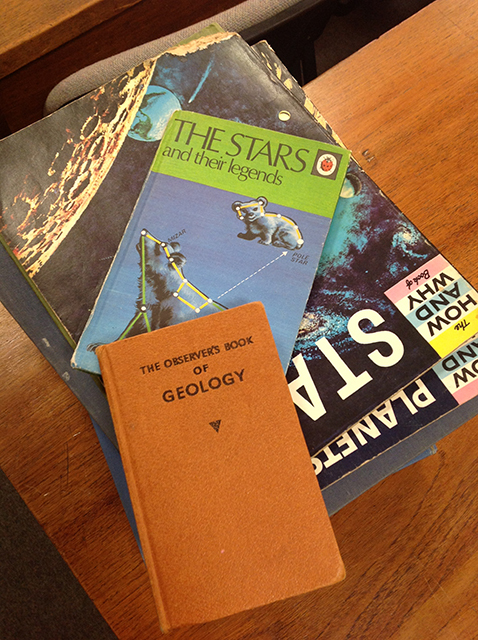 Take a look behind the scenes at the design process and discover how each starry silhouette is made... Harriet and Rosie often look to their bookshelves to spark ideas and these vintage books on space (and geology!) were key inspirations for the AW13 collection. : Harriet takes each piece through a very thorough design process before giving the go-ahead to put the wheels in motion and start production. 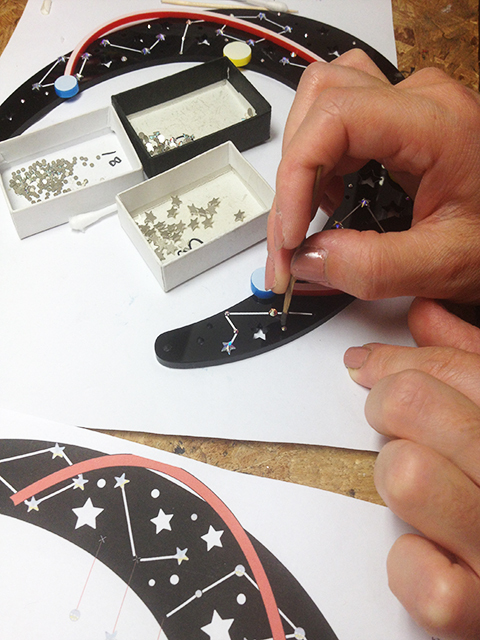 Often the jewellery can look very different to the original sample! 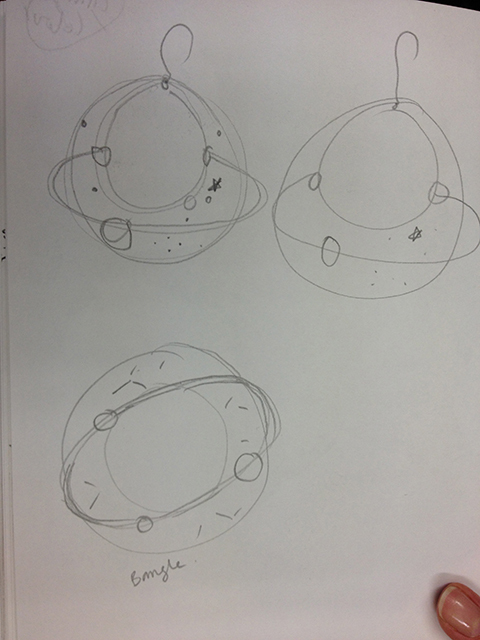 Here's a sneaky peek inside Harriet's sketch book - can you recognise our Sky Lab Astronomy Earrings and Bangle from these original drafts? 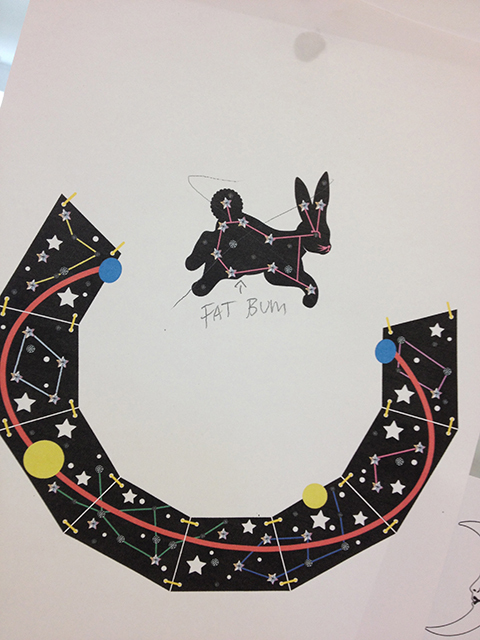 ... and here's a sneak peek at an early design for our Sky Lab Astronomy Necklace and Rabbit Brooch: The fat bum might have gone(!) but the rabbit is a key part of Sky Lab story. 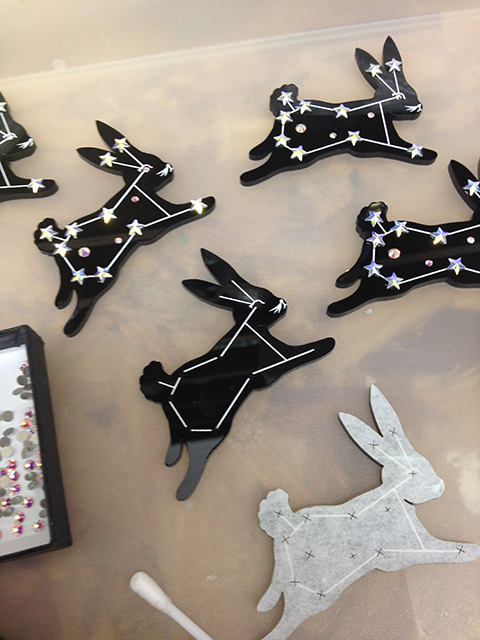 It's inspired by the constellation Lepus, which is classically depicted as a leaping hare. 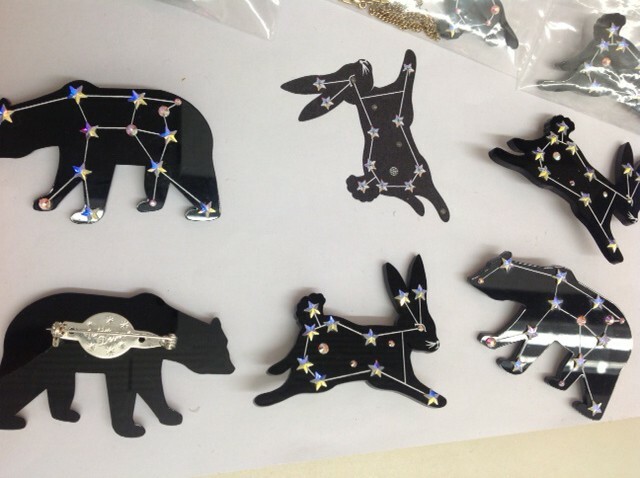 Each cute creature is laser cut in our London studio, with constellation lines and intricate whiskers etched and hand inked by our talented team: The finishing touches? Star shaped Aurora Borealis crystals! 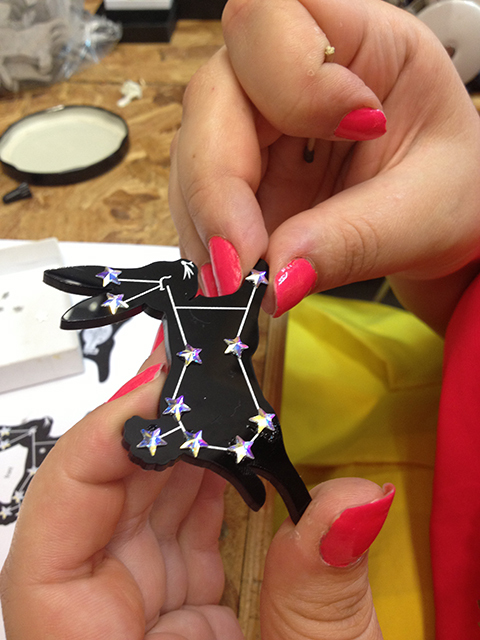 Flo gets to work to add some sparkle to our bunnies: The iridescent, light reflecting finish on the crystals is perfect for recreating twinkling stars. 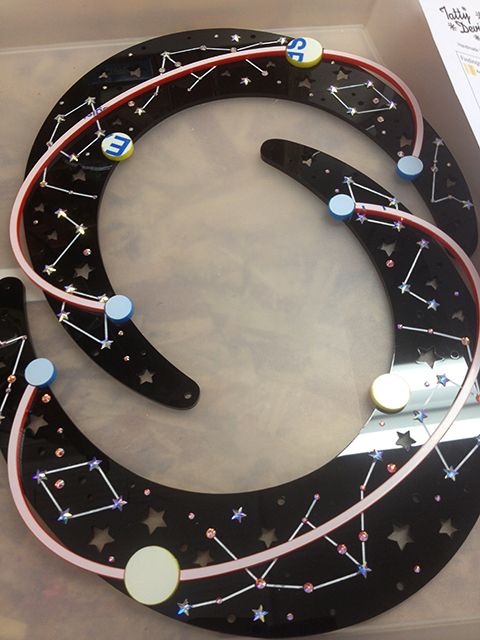 Our Sky Lab Astronomy Necklace charts the orbit of brightly coloured moons, with cut out stars and crystals adding to the night sky backdrop. Here, Annick carefully cleans each necklace... ... and gets busy with her cocktail stick, working carefully according to Harriet's plan. Each star makes up an individual element of a constellation: Ta-da! 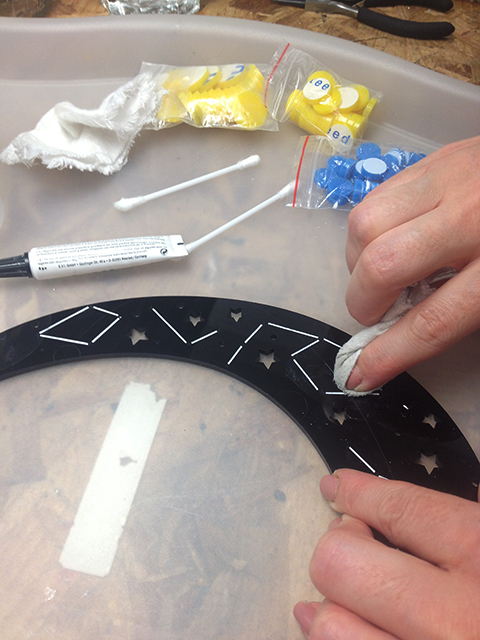 Time for chains: Love seeing behind the scenes into our workshop? Follow us on Instagram for exclusive workshop snaps. Reach for the stars and explore the Sky Lab collection now.